Below are the answers to a list of frequently asked questions. If you are unable to find the answers to your questions or are unsatisfied with the answers, email Ennevy Consulting. Who is the Breach Register for? directors and members of executive and board committees. What is the Breach Register? 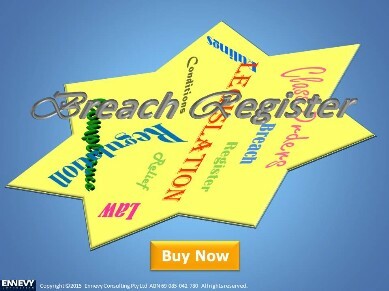 The Breach Register is a ready to use breach management tool. has business units dropdown lists. Is the Breach Register compatible with other compliance management tools? The Breach Register is compatible and complements other compliance management tools, and is suitable to form part of a risk and compliance management framework. How does the Breach Register work? The Breach Register is built on the Microsoft Excel platform, it has four tabs with data input into two tabs. Is the Breach Register flexible to record a wide range of breaches? The Breach Register is flexible to record a wide range of breaches succinctly. It has no category restrictions. Who is the Pro Ok for? What is the Pro Ok? The Pro Ok is Project Ok, it is a ready to use end-to-end project management tool. has facility to count project days remaining. Is the Pro Ok compatible with other project management tools? The Pro Ok is compatible and complements other project management tools, and is suitable to form part of the project management toolkit. How does the Pro Ok work? Pro Ok is built on the Microsoft Excel platform, it has four tabs with data input into two tabs. Is the Pro Ok flexible for a wide range of projects? The Pro Ok is flexible for a wide range of projects. conduct post project delivery reviews. 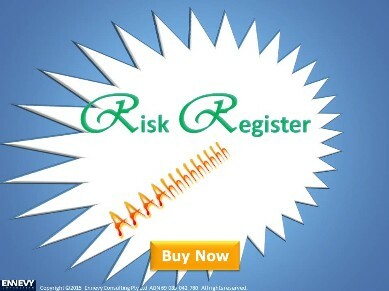 What is the Risk Register? The Risk Register is a ready to use risk management tool. Is the Risk Register compatible with other risk management tools? The Risk Register is compatible and complements other risk management tools, and is suitable to form part of a risk management framework. How does the Risk Register work? The Risk Register is built on Microsoft Excel platform, it has five tabs with data input into two tabs. Is the Risk Register flexible to record a wide range of risks? The Risk register is flexible to record a wide range of risks. It has no category restrictions. Ennevy Consulting is on social media, blog, and, RSS. To check out, connect and share, click the links below.